How to practice criminal defense in an unjust system? | Jon Katz, P.C. How to practice criminal defense in an unjust system? Jan 09, 2007 How to practice criminal defense in an unjust system? "I have long felt a tension about earning a living defending in a criminal justice system that is as unjust as ours, both because I’m participating in the system from the inside rather than just pushing against it from the outside, and because I am profiting from the injustice of the system (starting from unjust laws (e.g. against marijuana) and proceeding from there). Although I do not plan to stop practicing criminal defense as a result of this tension, since I feel the tension, I acknowledge it to myself." What do I do to alleviate this tension? 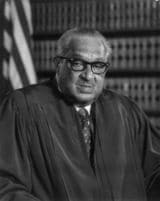 A non-exhaustive list includes doing pro bono, low bono and court-appointed indigent client defense; going beyond the courtroom to support adding more justice to the criminal justice system (including through this Underdog Blog) and seeking legislative changes (where I should put in more time than before); remembering that no battlefield is ever fully fair (Justice Thurgood Marshall learned this early on); and to continue approaching my criminal defense work and life as a t’ai chi practitioner would. The foregoing approach often is easier said than done.